Home » Blogs » Matt's blog » What's going on at Cineworld? 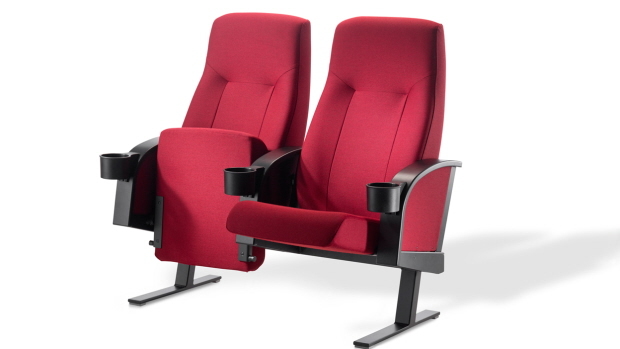 Finland - The Finnkino chain have allocated seating, and their seats are much better than Cineworld's effort. The tills have a front facing LCD screen that shows you the auditorium layout and seat numbers; you simply say "row 8, seats 15 & 16 (or "rivi 8, paikkan 15 ja 16 if you speak Finnish)" and boom, you're sitting where you want. Canada - Cineplex in Vancouver were doing General Admission (sit where you like) at the two showings I saw. Seating was much the same as Cineworld, and I quite liked their "pre-show" interactive games. Spain - A local cinema just offered General Admission. Worked well, seating was a bit on the firm side though. Evesham - The Regal in Evesham offers allocated seating and you can select the seats you want. The love seats are very comfortable. The point I'm making is that if you move away from General Admission to Allocated Seating, you have to give people a real choice where they sit; the "Front Centre or Rear" question just doesn't hit the mark and seems to underline the fact that the cinema is not in touch with its customer's needs. I also feel that Cineworld's silence on the matter is all the more irksome. As a shareholder, I'm concerned by the move. As a customer, I'm hoping that they put the situation right ASAP. The Unlimited card is only good value if I enjoy the experience, and if I'm not enjoying the experience, why should I pay for the card?